The "BSA Otter", 2016 News page. For all that is happening in the "Classic" Motorcycle Trials World. From Today all New News will start at the Top of the Page and not the Bottom,This is to save you scrolling to the bottom for current News. Just trying to make the site better. And to hear that little tune at the beginning of each episode. And if someone as got workshop bench vice they don’t need send it to Mike wont you. I also would add that Mike put us onto the M&M, gate section trials system, that if I am shown interest from you to ride in such a trial I will see about organizing the event in the spring. Well this was another on those co incidents’ that happens now and again. Now Anne Williams, not only helps me with little snippets of information, and puts me right if I get things wrong, but she also sends me photos she has to fit some of the tales I have written, and has also contributed with a tale herself. Hmmm I thought, I would walk the dog and mail a reply when I get back. Well I said I would love to have it so we started negotiations, long story, but on the 23rd of July Carol said I could have the jig for the deal we had come up with. After checking all of the photos on eBay I could see, now with my years of “Otter” experience, this was indeed a Genuine “Foster Otter”, and in total original condition, even down to the footrests and sump plate. I’m having that, I thought and decided not to bid on the machine until the last couple of minuets. But I had thought, where would potential bidders go for information about this machine. So you guys had to manage without some of the pages for a week, because, I removed every one the mentioned a “Foster Otter” to give me, I thought, an extra chance of winning the bidding. Has it was, my tactics worked, but I nearly lost it at the last few seconds, when someone else was trying to bid, but they did so just as I hit the keys for a second time. This must have blanked out their bid. I was straight onto the seller, saying can I pay with PayPal because I could not get down to Devon until the middle of the next week. He said no I could pay him when I picked the bike up. Even the engine internals are marked with an “H” these must have been marked by Ally Clift when he built the engine, for the Henbests. The bike build of the year must go to Bill Todd for his little square framed “Super-Cub”, but very closely followed by Gary Edwards Australian “BSA Otter”. New Build page on tomorrow and there could also be another two. I-Pad end of year news page on shortly. "Wilf Couldwells Motorcycling Tales" Page updated. 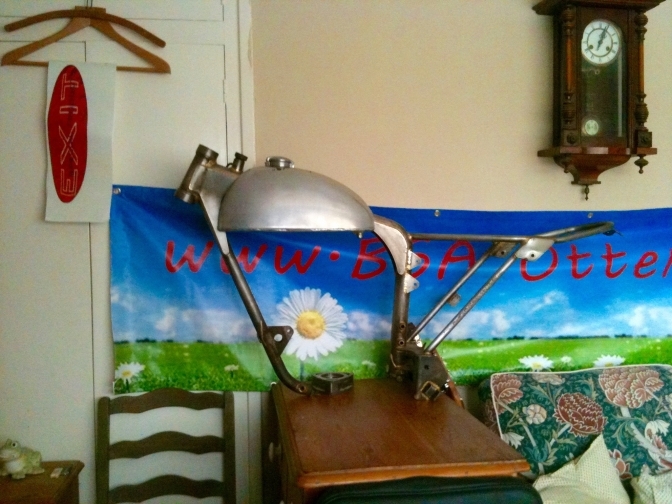 BSA B40 Army To Vitcor-y Page Update, with Pat's thoughts. Another South Newington Tale for Christmas now On. Pat Slinn A Working life .Page updated. and more later. Pat Slinn's story about the 1979 Mike Hailwood TT Formula One Ducati is New and On. New Page up Wilf Couldwells motorcycling tales in his own words. Bill Todd page updated with more pictures of the little bike. C90 Adventures a new video later. And a new page shortly when I get it together on this bike. and very good it is too. there was a note inside that I nearly missed. Thank you Steve I will be in touch. Thanks Ian, You will like this if you watch it to the end. And there is a Big Big connection with this site. Rover Imperial Motorcycles were made at "MeteorWorks" Coventry. 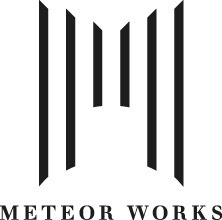 And Here is the New "Meteor Works" Cycle Made by a Chap named Lee Prescott. Photo Courtesy Meteor Works (UK) Ltd © & ®TM. Tonight at Nine on 4, "Our Guy in China"
Guy Martin builds an electric bike, looses his hair, visits the worlds largest public Loo,and heads off along the Yangtze river, Oh and enjoys a cup of tea or four. Page update on the Carol and Harry Foster Metisse. WOW you have got to check out the BSA Otter Dot Com Otter page. "Where there's Muck there's Gold." New Page Up, Britannia Projects Page. M&M page update take a look at the first video. "Dizzy to F type" page update and more about that this week. BMCA Hunnington Photos from Nov 6th trial on ,The Drayton "Banstar" page. More seventy years tales, from South Newington, and I have been asked to put "Chapter five The Cricket Match "back on for the lead up to the festive season. Phil Ives page update, and others later to day. Ends the twelve-months of the build. A little bird tells me it is a good one though. "Back to the Future" Page update and "70 years" page, and "My BOK228C Replica." 05/11/2016. 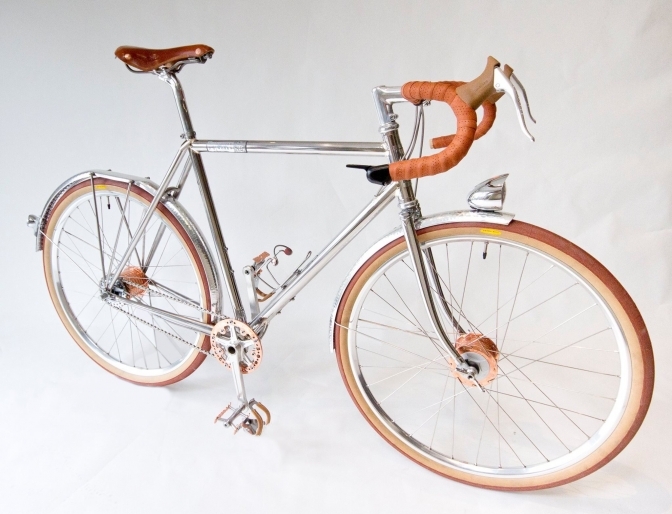 I just love this, frame building at it's best, and linked to us again. Enjoy! A good one for Bonfire night here in the UK. This just proves that you dont have to spend vast amounts of money to have fun. Britannia bike finished ,test ride next. M&M page updated. Back to the Future page updated, and "BSA Otter Dot Coms Otter," page. New page, British M&M gate system trials. New Page up Bill Todd's "Square deal Special". BMCA New Season film update. Britannia build Episode Nineteen up. and information about a New Trial Next spring using Mikes M&M gate system of marking. Australian Otter Build Page update and,Seventy Years page. and others. updated. Now yesterday while stripping down the Foster"Otter". And brother has a "Yamaha Super Moto" on his bench rebuilding. And I said I know a guy, and I could now call him my friend, who does not conform in life, and was prepared to put his neck on the block as far as conformity goes, by confounding everyone and entering a Super-Moto machine in the Isle of Man Manx GP. Now there is nothing to say that you can't ride this type of machine, and although there were protests, Yuri Barrigan from Santa Cruz California, USA. proved that he was right, and although the powers that be, thought he would not even qualify, for the event, he went on and finished Seventh in the Class C Newcomers race in 2015, riding his 450 cc Yamaha machine, and has since finished the 2016 event riding his Kawawsaki 400 sponsored by Irish Ago Racing. So don't conform, do your own thing, like Yuri did. Part Two Later.on new page. So we tend to put other things onto this web site that are of interest to us. So I thought a good idea would be to do a page for the Motorcyclists who don't Conform to the norm, and as well as Yuri, a couple more spring to mind instantly. So a New Page is due "Non Conformists." But I will make a start with the guys above, and even Burt Munro. 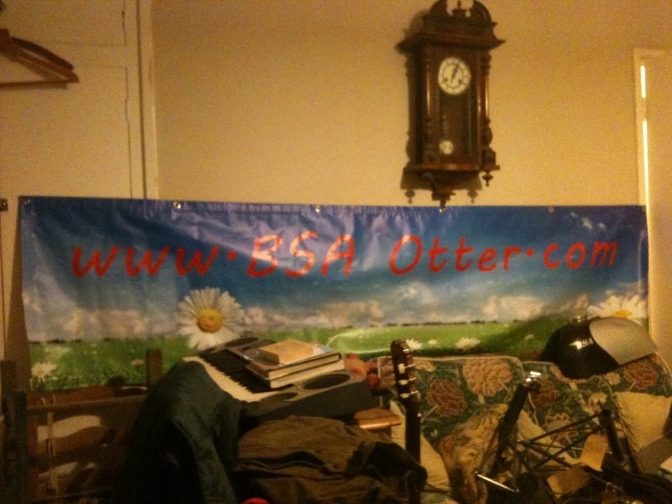 BSA Otter dot com Foster Otter page update, been working, and good News. BMCA New Season film page update. And more "Seventy Years" tales on the last listing "South Newington Water". With a bit of information you may not know? but you will enjoy it. Take a look. Traditional Motorcycle Association (Trials) New Page now on. Britannia Motorcycles Episode Eighteen Now on. The Rhayader Classic Expert Trials has been cancelled for lack of entries , just 20. Just through lack of advertising, and a spokesman for the AC-U says it is not there fault, they are not an advertising machine, not even for events run under there regulations. What I have replied to comments on Trials Central. We Keep getting this wrong. Did I know about this event? NO. You Know I will do every thing I can to get bikes back out of sheds to ride any event. So we need the publicity ! For Rappers to say it is not the AC-U's place to advertise events, just adds another nail in there coffin ,that authority that are governing sporting trials. It can advertise Enduros on the continent but has nothing to do with a Classic trial that is part of British trials History? it makes me fume. It is all-right passing the buck and saying put your adds onto TC, but how many Classic Trials riders actually look at Trials Central? A lot fewer than you think, It is an age thing again, that has been stated. Yes some would pass it on by word of mouth, but not all. Rappers is right in saying most Club websites are rubbish, but the same goes for them. So If it is a AC-U regulated event it should be publicised on that website, make no mistakes about it. Where else can you confidently go to find this information? If I had seen that trial advertised on the AC-U website I would most defiantly placed that information on the current news page of my website. So where do we go from here? you tell me!!!. My BOK 228C Replica, page update. BMCA Trial, New Seasons film updated. New Seventy years stories page at bottom. "Tigress in The Tank" Page update. New Page Up "An Australian Otter build"
wiring and Carb fitting now on. Some pages have been moved to where they should be like "A Readers Page" and the Forum Page are now both near the Top. A few of the pages are off-line until the week end for rewriting. But they will be back, and Better. BMCA Howards Wood photos up. Britannia Motorcycles Episode Sixteen Part Eight up. Page update BSA "Bantam Hub Made Wider page"
New Page up, "The Dave Wood Page". Several other pages updated too. "Back to the Future" page update report. Mike's Back with his "M&M Trials Gate Scoring System." 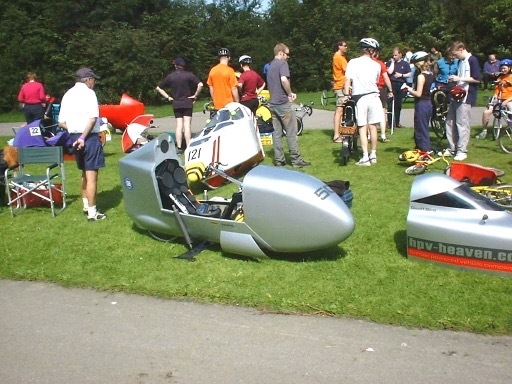 "Classic British Bike Trials, British Sidecars Page". "Britannia Build page "updated Episode Sixteen Part Seven a good one. My "Clutching at Straws" New Page now on ,that should be linked to Mikes page,above. "Classic Trials Scene" Page updated. "The Walwin BSA's". With a Stunning Replica and it is for sale. As one that has Fibromyalgia I thought I should put on this Video, and Music sometimes helps me a lot, You could help our cause by buying the CD. Thanks. Also working on the bikes, and engines, and these pages, helps, so BSA "F"type engine page is updated too. New Page "Triumph Twins are the ones that Win's"
More Pages updated including Ian Ballard page, and some starting with "B". And now "China Jialing page" updated with sketch of proposed TSB run sidecar. 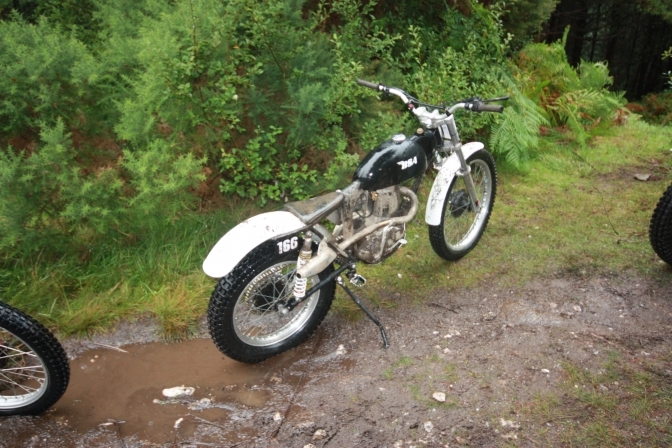 Look at "BSA Trials bikes from the Manx Classic." And Carol and Harry Foster's Triumph Metisse. New Page "BMCA New Season Film". OK updates on the following pages and BIG news on the Elstar page. Sadly D.O.T are closing there factory later in the year, an end to a long existence in the British motorcycle industry, Check out that page,too what might have been! and also CoTTon on the Villiers page. New update on Sammy Miller's second bike GON 786, on that page. I think You-tube has got something against me? I tied my main computer up for twenty-four hours trying to down load a Unique tail cam video from the start of the Junior Manx GP last Wednesday, and after finally uploading got a statement that it was TWO minuets over the fifteen I was allowed, so I signed up so that I had longer, but when I went to then publish the video, I was told that they had dumped it. This had however kept me from getting involved with the debate on Trials Central, about the Sammy Miller Series. And that twenty-four hours, gave me time to reflect, on the situation. however I had to clear the air with what I felt last night, (statement below). I am only just back from the Golden Isle Of Man, and still suffering the midge bites that I got standing out in pouring rain for four hours on Saturday along with the un-prasied observers, just to take some photos. few posting on here discourages, any sensible debate on the future, or not on the British Bike Based trials scene. the minority, most riders don't give a dam what is published on TC or BSA Otter.com and just get on trying to find a local trial to ride in next week end. The AC-U have left it to late, and are only panicking now that Sam has said enough, and are trying to make it right by giving you the chance to help them out of the moire. trials that will encourage some of the dusty old bikes propping up the shed walls, back out to see daylight, or will they just rot in peace. Unless someone willing to take a chance on losing £10,000 plus trying to organise an event or series for the bikes stated, the best thing is to shut up and let Allergory take its course. Anyway I need to get on building the first batch of New Foster "Otter" frames. Then we may consider running a trial or even two. for these and all other "Otter framed bikes. BSA Triumph and even include the Ariels. More news about that breed later. I have now got the Manx photos I took onto the computer, and there were some interesting machines in the mix. OK I am Back From the IOM, Job Done. Classic Trial, Photos on Later, and a lot more. Well Ridden Stu, Nice 108 MPH Last Lap in Senior. Right , I have been working on three BSA, C15 well one is the B25 engine in my New engine shed, and it works a treat, bench is the right hight, and not to wide, I should have built it years ago. Anyway I have took notes and pictures along the way, and when the cameras are set up I will do some videos like Mikes, and I am already getting the same troubles he has. I built up two F type gearboxes in one afternoon only to find that one of the gears was a stub toothed one, so that has got to be replaced, the Victor set I have will not fit the cases because of the layshaft bush needs modifying to take a needle roller. 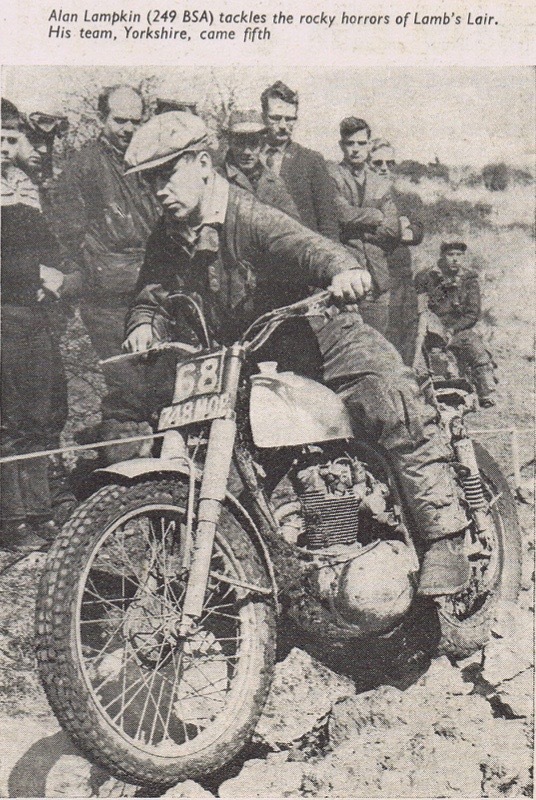 And the New "Clutching at Straws" page I am working on explains itself with the pitfalls of the BSA clutch, "Gearing -up-to-Down" is the other page. and the engine build pages will be updated with all the little niggles you get. I have also been collecting all the parts for the First New Foster "Otter" frame build. So when I am back from the Isle Of Man, I will be on with that as a priority. 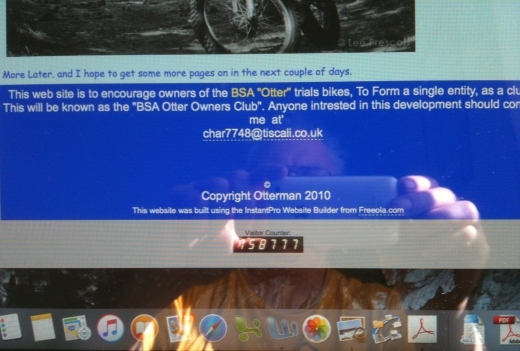 There you go then thought you needed to know what BSA Otter .Com is up too. Britannia Page update, Episode Sixteen Part Four. gearbox build, Graaa. If you are anywhere near Brackley Northamptonshire, this Sunday you need to get along to the Amazing Spectacular that is the Brackley Festival of Motorcycling. And a start of a NEW journey for me ? Look at the Next Page Down. Just put on for my brother, he is building a replica to parade. New page up on "The Works Ariel Colt" Trials bike. Britannia Motorcycles update Engine build. 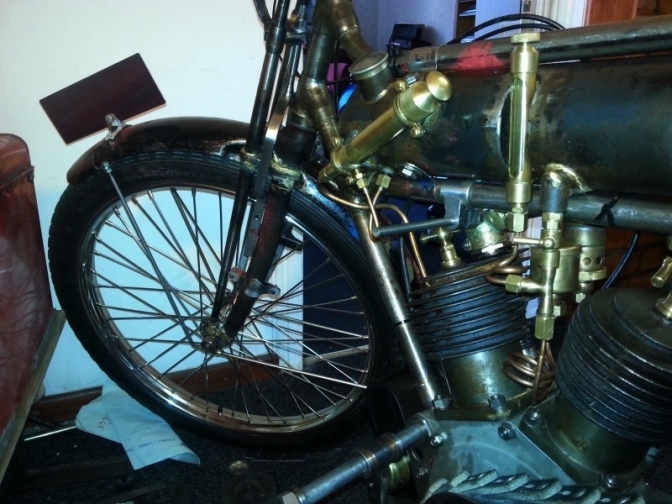 "BSA New Trials Engine Build" page update. Just for you Henry, I will move it to the Royal Enfield Page later. Chill out with a few cool beers and watch this excellent film. Quote: 99% of Mere Mortals don't have it. Yes there is a conection. The DIY "Otter" frame, page has been updated. Britannia Motorcycles Episode sixteen , start of engine rebuild now on. He tells me father Bernie Chequer, at 71 years of age was compeating in the Chimay Classic meeting at the weekend on his 250 Ducati Mk3 of 1965. One Bultaco and a lot of Honda's. 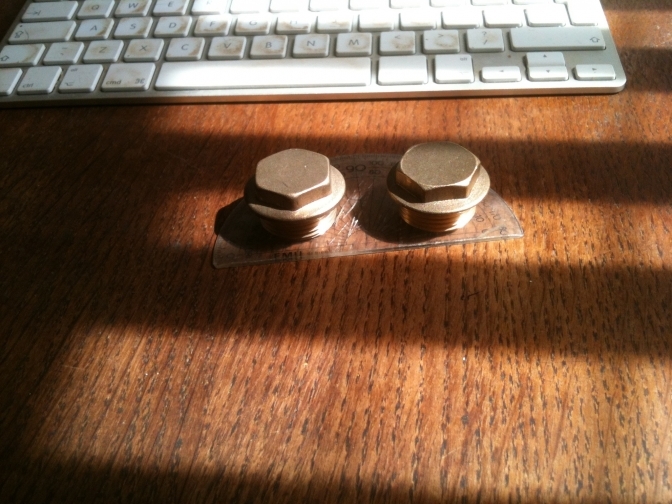 One of these is going into my New "Little Shed" so I can turn spacers, etc ,at home. I will start a page for machining parts with a Mini-Lathe along with some videos of the operations, when it is set up. Looks like you may be interested in the NEW "Otter"Phaze-One" frames, there will be a batch of five first come basis, so if interested in the specification ETC contact me. 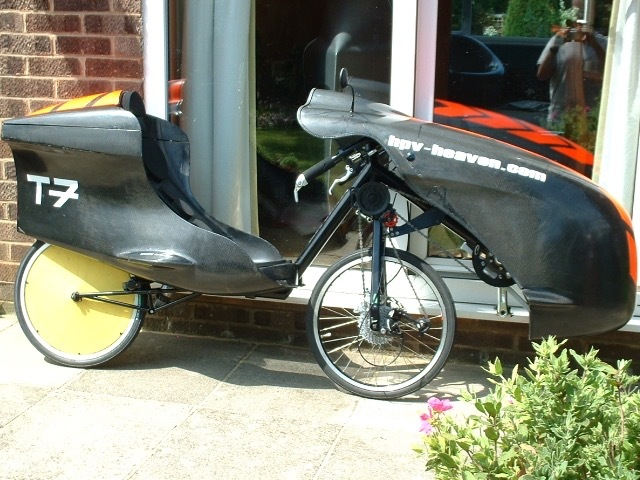 This is the little bike I hope I am going to do the Tour of the "English Shires" with next summer for charity. To prove how good this little machine is. See the link to TSB below. Custom frame building at its best, Made In Britain. I am at the moment considering building a batch of "Five". These will be built using T45 and Reynolds 631 tube except for the rear mudguard loop. If you are vaguely interested in the idea, you need to contact me, so that I can judge if it is worth my while setting it up. New Page up China Jialing JH125L. Udated River Otter page and DOT and more. frame building page update later. For the staff at the Banbury Branch TSB. As part of our build up to do some charity rides. This is to prove that you can fit a sidecar to a 125cc Chinese built machine and they prove not only reliable but they save many lives in undeveloped countries. 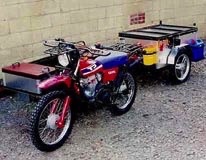 And not only do they fit a sidecar, but towing a trailer with this unit is also an option. I will do a much more detailed page about these machines later. Poignant message. today. But we are still in Europe. NEW Page up on the bikes built by CCE in Italy. Britannia Motorcycles page update. and more. From my tube supplier Proformance Metals. Enjoy there car is The wrapped one about midway,watch some of the wheels and the inevitable. Also Deryk Wylde is looking for photographers that attend any Classic Scrambles/MotoCross. To take him some photos for his New Offroad Review-e Magazine, you will get the credits for these photos, and you don't know but it may start you off in the profession? 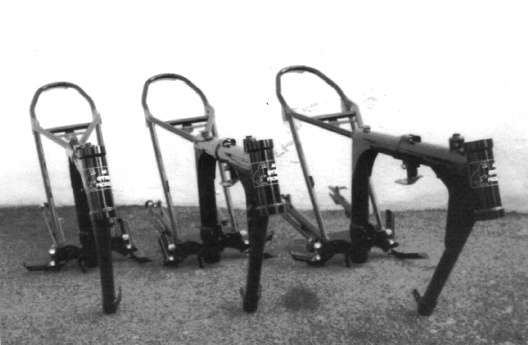 Heres just a taster for you of these Classic Scrambles bikes. The winner of this event was twenty one years old, and the oldest competitors up front seventy three and five years old! Enjoy. A few pages updated this weekend with thanks to a couple of our readers, for putting me onto the information. Pages updated are Butler,Villiers, Norman etc. Now I am back out of land TT, I will push on with a few other projects. You know that this weeks News was always going to be from the IOM. Well yesterday a mixed day, the rider we have been following since I met him at last years Manx GP. Joe Newbould, has put in the time with eighteen or more race and practice laps of the TT course,over the last couple of weeks. now you and the bike have to be fit to do that, and Joe is fit, he takes his Mountain bike over just to keep his fitness regime up while there. Joe was making his mark on race one of the Supersport moving up the list and was impressing a lot of people with his determination. the the engine let go big-time with a Ginormous hole in the crankcase. This was the second engine that was fitted because of problems with the first. So like Joe and his team that don't give up, they managed to rebuild an engine for race two. Joe started that race like he meant to win it and was commented about at the first sector. But he had a big off at Kirk Michael, and had to be Airmeded to Nobles. Broken wrist and ankle have now been operated on, and he puts a thumb up from his Hospital bed. Get well soon Joe Newbould we are all behind you, and back to that Lovely Cotswold's where you live that will help you heal. Race winner of the Lightweight TT for the second year was Ivan Lintin and if you read last years news you will know why we are interested in that young man. Gary Johnson and Craig Neve. And the first bikes from China to complete a race of the TT Mountain course. Just to prove like I have always said that there is nothing wrong with Made In China bikes at all and to be honest it is only the low price that Now puts people off. You can buy a road version of the race bike for less than £3,500 ! Just for Me, I have put a page up of the TT efforts of the WK BIKES CF MOTO Team Efforts. One branch reaching to the sky, the others broken but not afraid to die. It stubbornly holds its position in time, watching over the sands that guide. The younger ones still all around are heard to whisper for the wisdom found.. There colour still sharp and bright before the long darkness of the night. The guardian on the mountain looks down, with pride on its sons that still abound. A beautiful thing is the mind of Man that drives us forth and says you "Can." AWP, June 07 2016. C- right. Just found this on a route from the TT ? Look up "Allegory" the meaning in the dictionary. Desperate to gain some reason in this life. Into a dark and ominous dream. This is what makes Justyn such a good tester of "Classic"trials machines, Enjoy. The New page I promised you is live. Harry Stitt BSA Otter. Justyn Norek Juniors new toy. 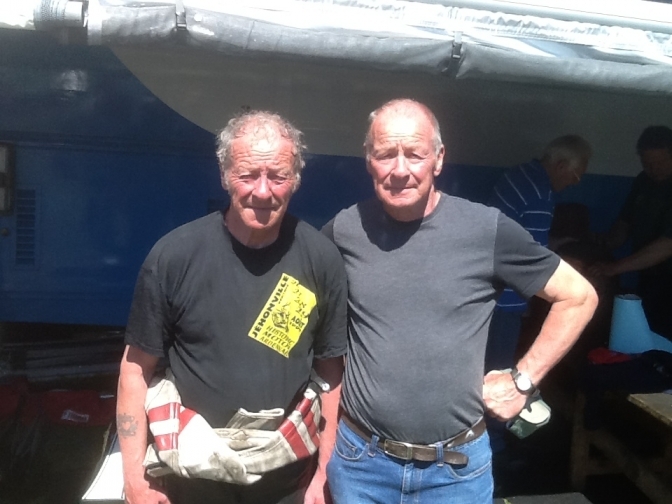 Brother in laws at Billown Pre TT Classic. You know Brian on the right, Twin brother Alan, riding side-car at 69 years of age. Made Famous for being passenger for Brian Rust amongst others, for many years. and still with the same leathers. All of you over at the TT you have been warned. STAY SAFE>OK, The Force "Is" Behind You. I am amazed at how much fuel is saved by a sport like Cycle Racing. We seem to have lost yesterdays Video. so I have put this on instead and although using more energy is probably less "Dangerous". This weeks informative video from "Ireland". by Shed-Built Dave. (found it hiding). Alf from Save'Ty was on his hols. note the TY hub though. "Britannia Motorcycles" Page Updated and a spot of History. ELstar and Norman pages updated. New Interesting page to in the week. Howard from "Faber Frames" has been in touch today, and says he is back in production with the "Otter" frame. He as just sent two of to Finland and has an order from Spain as I know, also he is just building two frames to fit Triumph engines. I will ring him week end to get a better update. It seems now that Faber "Otter" frames are leaving this shore more and more. After ten hours yesterday trying to get to this site, I finally got back to it through the back door, last night, I don't give up. baffled Freeola and me. so I have lost time. But have updated the C90 Page and there is a bike for sale on it. And also Brian Browns page, not his bike but you wont believe it. Updating more later. Check out Deryk Wylde page too. Right, watching all of the ED March C90 Adventure videos. I have decided to put together a C90 page, and we might be able to get Ed a few more sponsors to be able to continue with the video diary updates, More information will be on the page. He just started doing this. showing that you don't need a £15000 bike to have fun. "Like What I have always said". and to have amazing adventure on one too. I know this is a bit off beat for us, but watch one update, and then tell me you wish you had not done something like this when you were younger? It is a bit closer to me than you think but you will have to read the page when it is up. "The C90 Super Cub Adventure" page now on, down the listings. Thanks Jim once again for keeping us informed what's happening in Ireland North and South. I hope to finish more New pages shortly. the site will never stand still. Any new material always welcome. Britannia Wheel building Episodes are now on. I was sat thinking what I should do with the "Super Cub Trials bike Projects" now they seem to be redundant with no interest shown in them. Then I remembered a couple of years back when I was looking for the engines for the project stumbling upon a link to a video from one of the suppliers about an adventure on a couple of C90 Honda Cubs one fitted I think with the same motor as My "Mini Otter". Well today I remembered that it was on the Dalton Highway to Prudhoe Bay in Alaska. I have not put that on but a later one because I know watching this you will have to find the others. Enjoy and watch out about 14 mins in. The next Episode is at the bottom of the "Mini Otter" "Super Cub Trials" page. I only want to let you know that I really like your website. All those stories and wonderfull pictures. Here's a little video of the Pre 65 Scottish trial with some good shots the Paxton Twins are about 1 min 33 in and 1 min 56 in "Cotswold' BSA's Andrew Number 11 and Nick on number 13. Black suits. But he has been riding in this trial for years. Video Courtesy Richard Nicolson thank's, Richard. Nice one. And Guy was trying as you see, But you only become a good trials rider is you learn at an early age or ride every day. Courtesy Craig Turpie. OK Day one results. AnD Provisional results. Stuart Melling 40 marks lost.DT Total92 ML pos 126Th. Ben Falconer 116 marks lost. Retired. Guy Martin 121 marks lost. DT 248 ML Pos,157. Well done all of you and good luck tomorrow. : Well done guys, and you Guy for sticking with it. Good Man. Others we should credit from our pages are Jim Pickering BMCA pos 63rd. And Mark Quinn Walwin 64th. There is a conection? Keep that in mind. 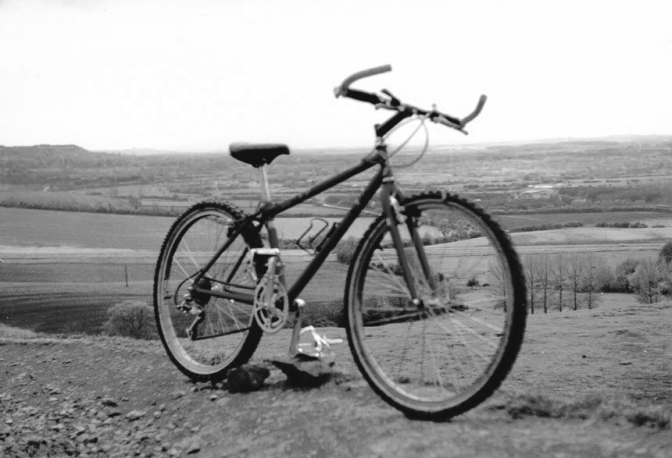 To celebrate the 400 year passing of Shakespeare, I have accidentally found a story that I wrote many years ago, And it was about my "Very First Bike". so I have put it onto the site at the bottom if you care to read some rubbish. Enjoy, For everyone. Brian Martin and the Works BSA C15's page updated. SSDT 2016 practice - Guy Martin Challenge from RV Studio on Vimeo. 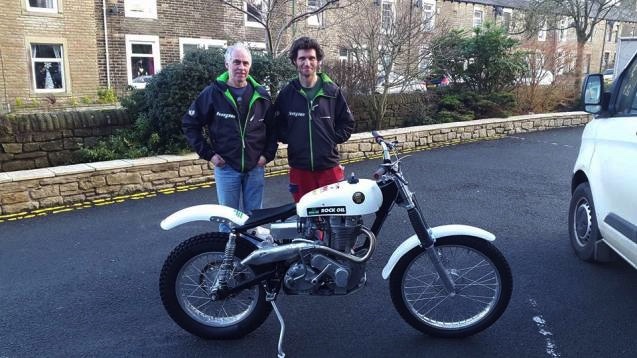 Milestone Creative.Senior Designer Richard Vockins is taking on Guy Martin this May in the gruelling Scottish two Day Trial motorcycle event. He’ll be riding over some of the most challenging terrain the Scottish Highlands has to offer on vintage pre-1965 motorcycles. Richard is raising money for the Rennie Grove Hospice Care. 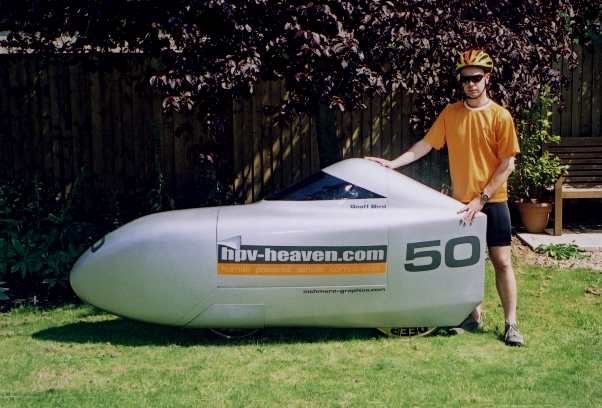 Guy Martin is of course a TT legend and multi-speed world record holder. But our money’s on Richard. Here is a good cause ,and a chance to follow the Progress in the Scottish Pre65 trial by a pre unit "Noriel" could this be one of Jim Susans bikes it comes from the right area. Rich has now told me that Jim did help with the build. And his dad who's bike it is will get me some information later and perhaps some pictures? Follow the links on the Video to donate. 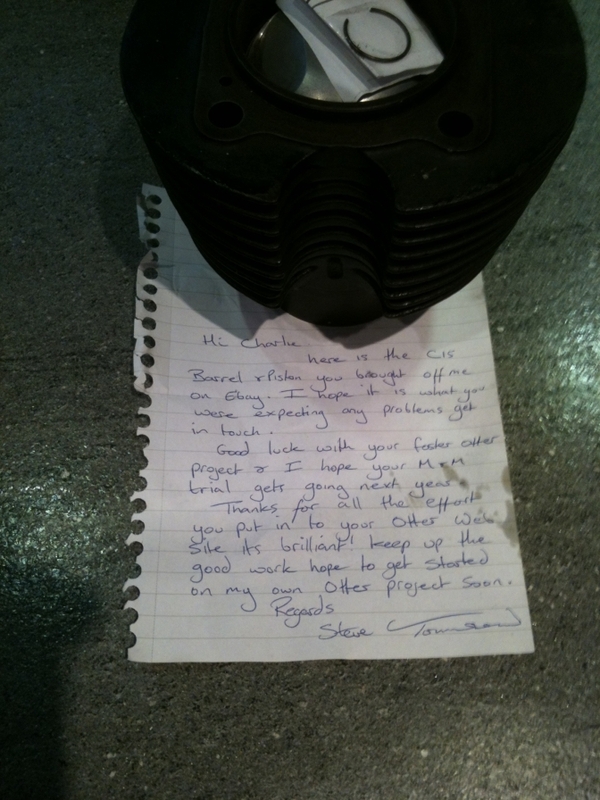 I will also ask Jim if he remembers the bike build. We should also say good luck in the trial to Stuart Melling riding the "Odgie"Danaan BSA Sunbeam scooter engined bike. The twins are riding Identical BSA "Cotswold" BSA B40 machines. Also has ever to the Guy's riding BSA "Otter" machines. And it goes without saying Guy Martin riding the Hope Technology 380 Ariel. And in fact to every one riding in the trial. "Another string to my guitar" and "Faber Otter" Pages updated and more later. Ariel and "Noriel" page updated. "Britannia Motorcycles"page updated two more videos. "British rival" page and "Cotswold BSA" page updates. Hi,my son in law is the son of Ross Winwood,he still lives near Stratford,I have a 1967 Victor-roadster,I come from Silsden,the village the Lampkins live. 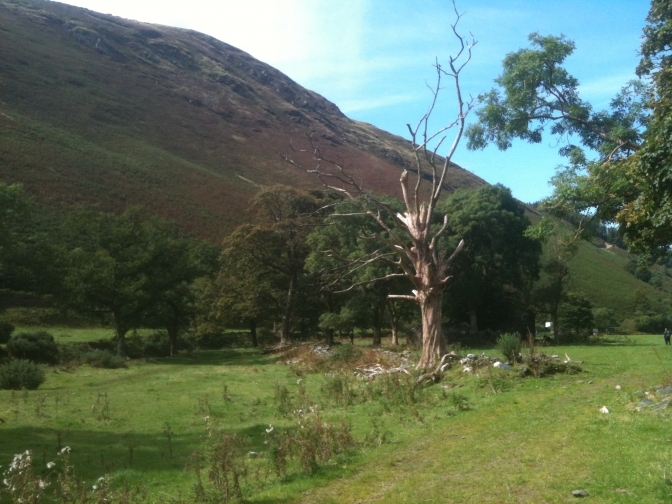 Sadly Martin passed away at the weekend,but what a place to grow up,a motorbike on every corner, Phil.~Oo> thanks Phil. Just scrolled down the page and saw my "777" magic number at the bottom of the page which to me is a good omen. and keeps the "Clocks ticking". Look, Click onto full screen,if you like, and then for those of you who are old enough, take a look at the budding "Ray Cooper" of Clapton fame, on the left hand side, That boy deserves to go far. as do all of them, what a brilliant piece of music on a few old oil drums. and superb rendition of Coldplays "Clocks"
Look I just had to put this on for comparison with the above, Ray Cooper steals the show. From the ARMS concert 1983. big name line up as well. Enjoy as much as I did at that time. For you Ross, George, and little Eddie. BSA"Otters", "Otterman". will be covering the event with photos report and video. OK the band below is the "Thameside Rhythm Kings." And the Sousaphonist is Builder of over 100 Classic Trials bikes. Name Jim Susans page now up. The Dot Factory in Manchester has been targeted by thieves. 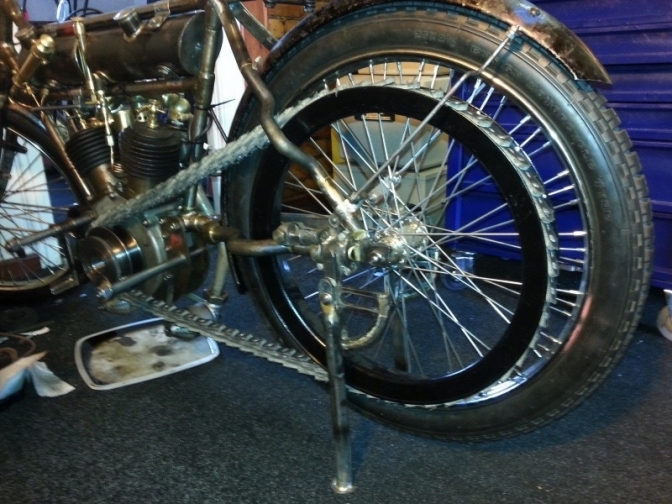 Items stolen include: Two complete wheels and belt drive for a 1908 Dot TT bike. 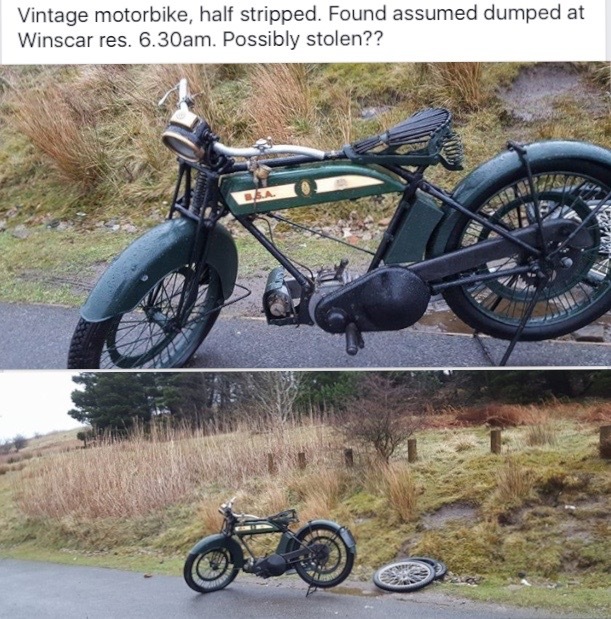 (Photos attached), Three complete machines: a 1925/6 BSA 350cc OHV Single Black/Green, a 1965/7 Triumph Tiger 100 500cc Blue/Cream, a 1955/6 Dot Mancunian Road machine 197cc Villiers Green. Also: Talco Topbox Blue, Beta Rollcab Blue. Contents include: Spanners Whitworth, A/F and Metric, Toolzone Metric Socket Set, Whitworth sockets, Angle Grinder, Micrometer Moore and Wright, and miscellaneous other tools. Your help appreciated. Please contact Al Ussher Tel: 01694 724717. Thanks everyone. Look Guy's good job, Thanks to the keen eyes in Yorkshire we have half the result, we just need the D.O.T. and the Triumph back now. Wait a minute, just ask yourself these Questions: why was the most expensive part of the bike left in situ? the Magneto that was probably reconditioned? could not take it off without a flat-bladed screwdriver and "Mole-Grips"? Was the head and barrel removed here? if not why was the bike put on to its stand? Do the perpetrators actually like Motorcycles? And are they past the field bike stage of there life.? If any one has any knowledge about this appalling crime to any British Citizen ? that has grown up in this country we call home, and is interested in our past motorcycle heritage, Do something about, It Mail me if you like. There are just to many getting away with this sort of crime Now-a-days. ~Oo> Don't just sit there, ring someone else and tell them. Some one will be offered this , "Shop Um" OK.
OK here's a bit of a change for you all? a nice little interlude. Well enjoy it, really, but I am about to do a page about the Bike builds from one of these guy's? The name sounds a bit like one-of the instruments being played. Also on the D.O.T. an update. Just a taster (like the Pun) Mr Porky. That's all you can say, well done Robin of Lincoln. Bike collected from Hope Technology. 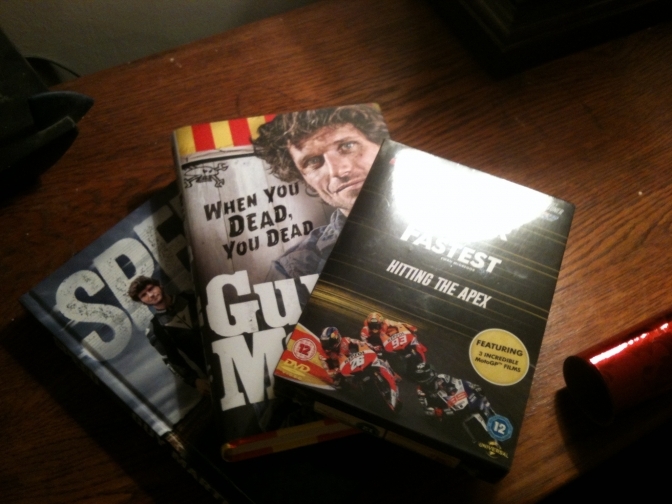 Right: Guy Martin, as Himself Proper. Lose your "Brian'( read the Guy martin book), by doing this. OK. and ~Oo> in my case. 21/03/2016. Photo Courtesy Lee Prescott. 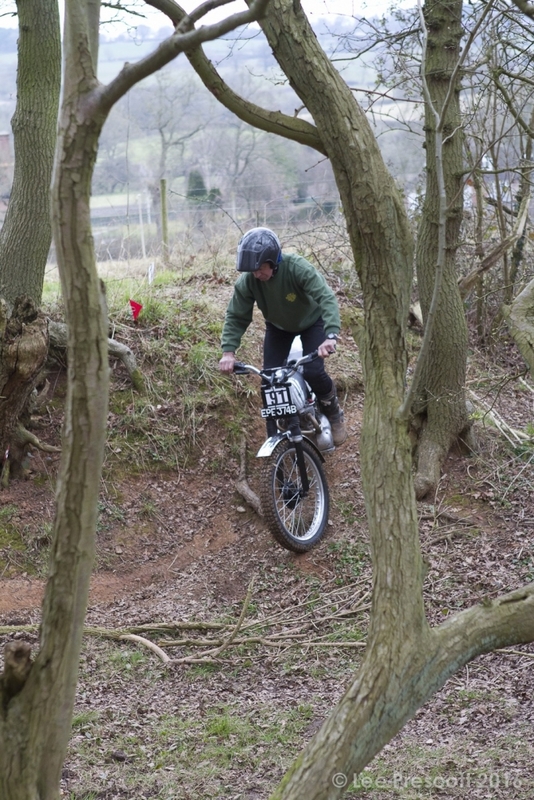 Report and photos of the BMCA "British Bike Trial" at Tanworth-in-Arden. on BMCA "Film Camera Action" Page. We now have Lee back on board , with his extra knowledge of taking World Class Sports shots. The first batch is now with me. and Deryk. "British Bike Trials, British Sidecar Trials, page NOW ON. As part of the seventy years story I have found out some of the tales of growing upon on the farm , I have put them on as a reference to me, and to know where they are, as Bill Gates keeps trying to destroy them. Bottom of the pages "Threshing". New Greeves page too. NEW Page up Tigress in your Tank Named "Vera". page updated. "Britshock" Tools of the Trade" Page Update, with short Video at bottom Boring a C15 barrel. 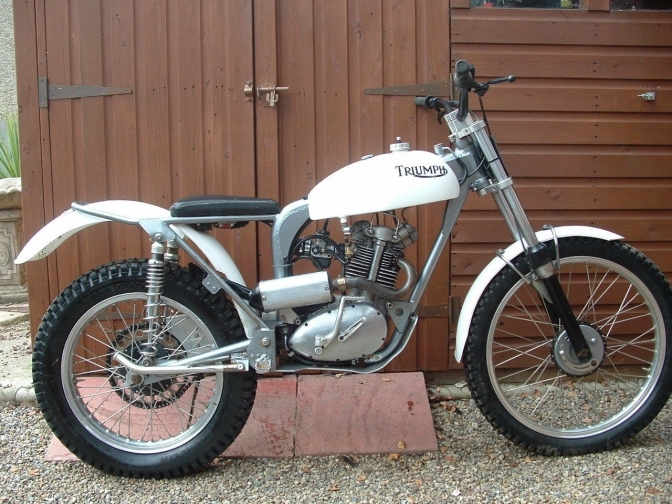 "Classic Trials bike scene" page updated. Hi NEW Page up, "The Drayton "Banstar". I may try to colour code some pages that are current, or I am open to suggestions. This is just for me and a few two wheeled friends, but don't let me stop you taking a look. 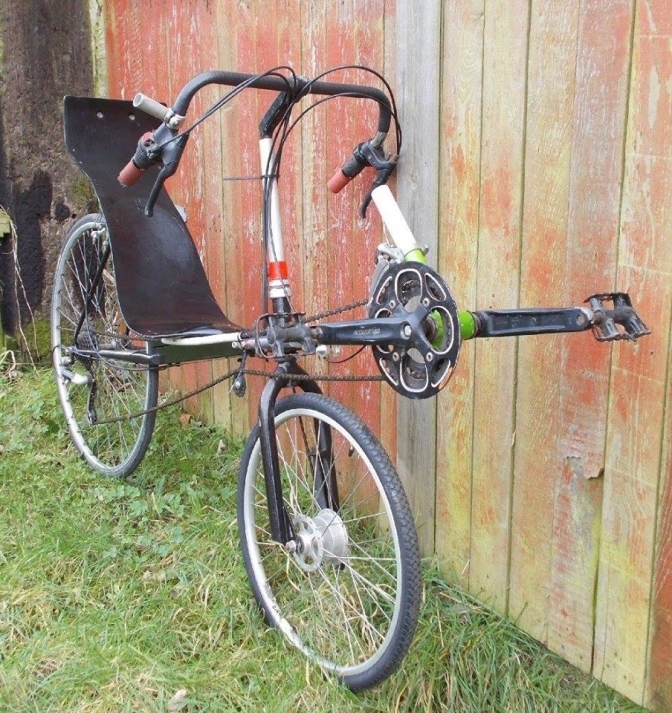 I will leave it on this page for One week, until I construct a Page for the "Pedal Power" we have built up over the years ,that is still continuing Today! 016r the years since 1995 When Geoff built his first machine I have been Bronze welding the frames of his long line of recumbent cycles, the first was for touring but then the rest down the line to I think now MK7? were also used for racing. One Geoff wrapped around a pole racing, and was amazed that the frame did not break. He is now building a three wheeled projectile to race mainly Carbon fibre. Geoff Bird is the "Very Nice" faired machine. 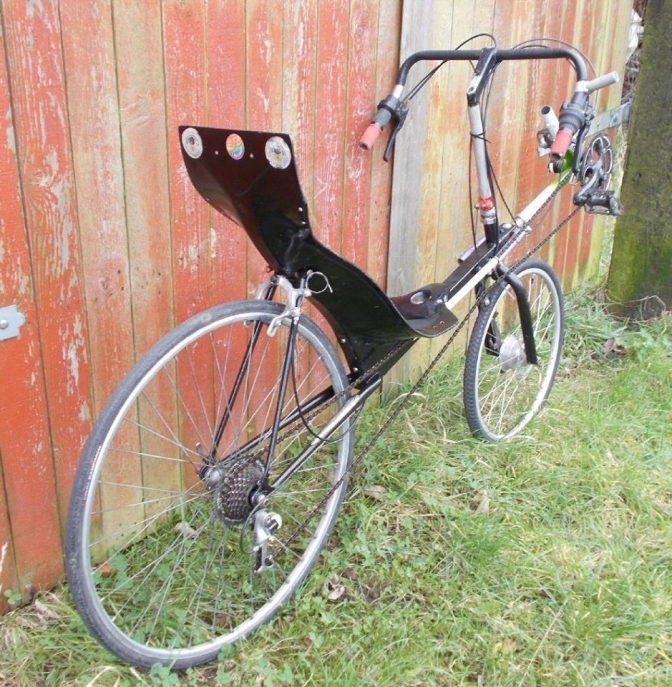 Here are a couple of Photos of the Mk One Velo still going strong and living in Cornwall. And I still have the plug for the seat mould in my shed today. Built in 1995 while I was still working on Horse-boxes in the daytime. Geoff Bird at the time 1995 was working on parts amongst other things For Hinckley Triumph. I also got involved with this work, and it was this that brought me back to "Two Wheels" to this day.I was also bronze welding up the first "Exit" ATB cycles for son Lee. Looks like I will be doing a page on "Pedal" power. This is the Second 'Exit" hard tail MTB. Heres the first EX-it Small but standing "Proud". OK Yes I will put them on another page later. This Is Geoff Bird's T7. can you just see the design and work gone into this machine. Here Is Geoff on "Low Racer" which I think was T3? 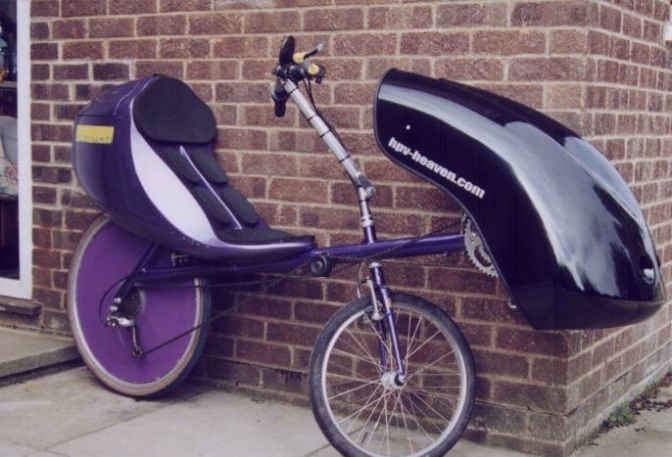 This is T5 there were two of these this one was ridden by Fiona Grove "Purple Peril"
This is the Streamliner that Geoff pranged big time hitting a solid post. "Dizzy Bee Page" Updated with New Thinking At the bottom of the "Page List" for Now. sent me the mail below this reply, this morning just has I was wondering how we might just find the Racing Bantam for Colin so I sent him this reply. if any of you "UP North" know where there is a racing Bantam lurking in one of your mates sheds ask the Question for me would you Please, "Is that the Old "Sailor" Raynor Bantam you Have"? Look yesterday I had an old friend come round to see me don’t see him that often. In the sixties when we were racing he firstly rode and then purchased a Racing Bantam from a guy named “Sailor” Raynor. He worked in the development department at North Bar Tool Company, who still are owned by the same family and still make the Norbar torque wrenches. Well this Bantam was one of the best there had been and had won a lot of races with “Sailor" riding I am told. These must have been in the Late fifties. Anyway Colin Jenkins took over the ride, and first time out he won on the little Bantam. There is an account on my Seventy Years page about his ride at Snetterton on the bike. I was saying to him about this yesterday, and he said he whishies he could find the bike again. After Colin sold it on to a guy in his village the bike eventually found its way back to “Sailor” Raynor in Buckingham. Sailor told Colin that he later sold the bike to a guy up North and that is where the story goes cold. Unfortunately Stanley "Sailor" Raynor is no longer with us. so we have lost that trail. Colin told me that John Gleed had tried to find the bike and he had also said that it was somewhere up North. 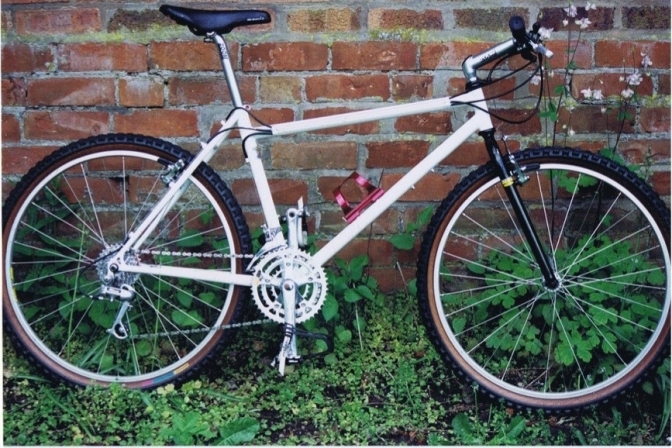 The bike would still be easy to spot if it was in the same condition of build has it was then, it had a rear swinging arm conversion and the sub frame was made of square section tubing. 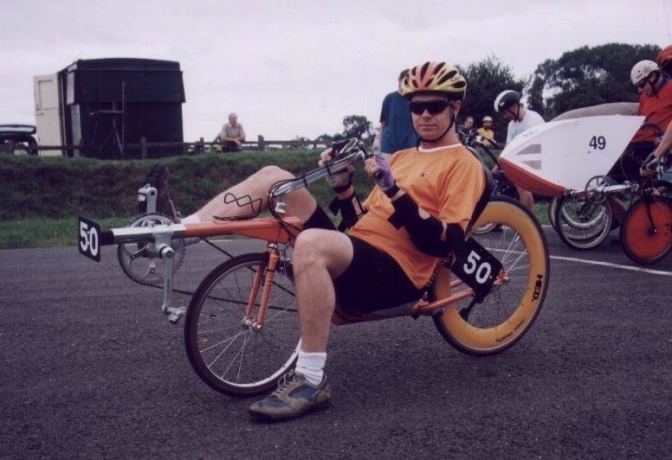 Colin suffers from asthma and at seventy-one would love to find the little bike. So I should put this on the Bantam Racing Club forum should I not? To see if anyone on there has heard of the Bike. A very interesting read, the blow by blow visual account of the creation of that nice machine provides for a more sedate counter point to our normal fare of a purely racing machine. Once again fine craftsmanship on display embracing the Bantam brand, so thank you for the heads up on that one Jimmie! From Trevor Amos at the Bantam Racing Club. Take a look at the bottom of the Page listings. "The Pat Slinn Page" has been updated,So has the "BSA B40 Army to Victor'ys". page and others .New Page on the card for later. Has you can see we have another new page up on an interesting machine. Also the "Mick Mills Legend" page has been updated with a very interesting story about MIKE Mills (yes MIKE) he was know has so I am now told by the author of the story Ray Battersby, Take a look. Dave Wood has sent me photos of his two now finished Bultacos, I will update those pages today, The finished bikes are a credit to the man. Also just arrived is a Works BSA C15T top yoke? yes the right one. Picture and update later Alan. 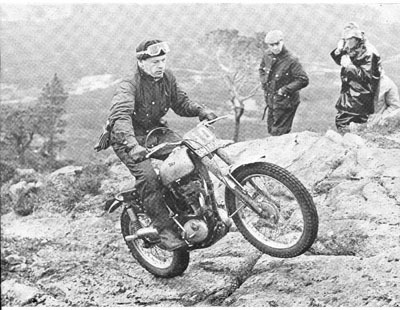 The late Dave Rolands riding one of the Last BSA Factory Works trials C15T's. This is the type of machine we need to get back to, to conserve the early "Britshock" Classic scene. and not continue with the rise of the "TrickShock" Machines. Although there is to be a production of Faber "Otter" frames, Howard is building five very soon. After a long chat with him a few days ago, he said that he needs to slow down at his age like I am trying to do. with the big 70 coming up next week. I am only two years older than Howard. And like he says he builds the frames on what's little more than an hobby basis now, and this is not his livelihood, he has more fingers in the pie for that, although he has wound down his electrical business to concentrate on his flying activities and work for the film industry. So if you want a Faber "Otter" frame for BSA or Triumph engines, get your order in early and be patient, You will not be un-pleased when you receive your frame. Not only is the Bronze welding that Howard does superb, but the frame is the best value for money that you can get. This Triumph Cub engined Mk 3 Faber "Otter" framed trials bike is a prime example of Howard's workmanship on this frame, And work it out,it is a lot cheaper than some other frame kits. You know I have one of these and it is in the shed third in line to get built This Year promise. Production of frames for BSA engined machines has become quite sparse now. except for Howard and the "Otter" frames, coincidently he will still make the MK1-2 if asked. The only other reliable choice is the Bantam frame from "Drayton" that will except a BSA C15 or Triumph Cub engine as well. This kit is around the £1800 mark with seat, exhaust, and both oil and fuel tank in alloy. There are others playing with the Mick Mills type of frame, but I don't know how long you would wait for one of these. Metal Malarky in Shropshire seems like the best bet. There is nothing stopping any of you from building your own Foster "Otter" replica frame for the BSA or any engine come to that. I am prepared to get parts laser cut for you if there is enough interest? Steering heads can be turned and other parts sourced, if you are interested. I may even be able to get frames built in a limited way later in the year too. So we will see how 2016 pans out, It could be one of those turning point years if we help it. More Later. and a "Very Happy New Year" to you all. I have just recieved this urgent message from "Alan Lampkin". Can we see if we can help to find one. you never know we may have a 2016 winner too that would be History, and Guy Martin riding this could be a very good year. I have recently found and bought my C15 works BSA trials bike, Reg no. 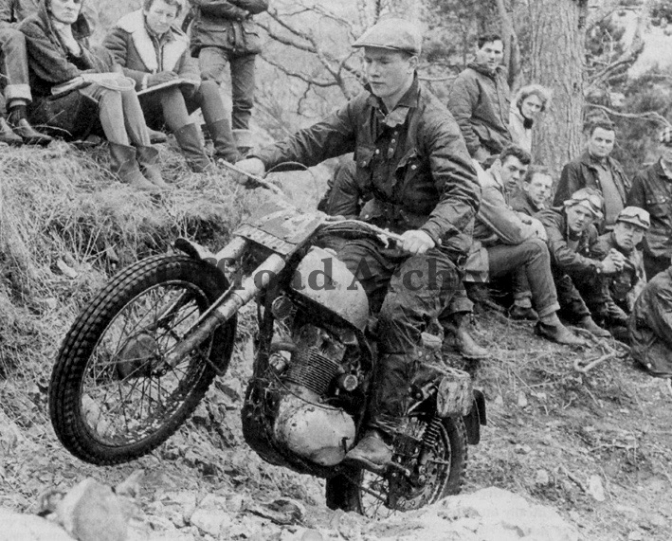 Which my son James is intending to ride in the pre 65 SSDT, as it is just 50 years since it won the main trial. I am looking for a top yoke 40-5094 as mentioned in Brian Martins article on the works C15,s. Mine is broken on the clamp bolt part. I know I am looking for a needle in a haystack, but am trying as many leads as I can. Thanks Deryk once again. "Offroad Archive".Here is said bike and rider. This shot scanned from the 20th April 1967 Motor Cycle. Inter Centre team trial. Yoke Please, have a look, I have had emails from some of you that have looked. Ian Ballard was straight out into his shed but only came up with a 40-5114 which was the more common scrambles type that were fitted to most of the C15T,s to help with the front wheel clearance. Thanks Ian for looking and Mark and Brian. Andy is still on the case. I have found a competition top yoke but am still awaiting conformation of the number. At a pinch Alan if you have the correct bottom yoke I thing a 40-5114 can be heated and bent slightly back to make it fit. We will keep on looking Guy's. "Twinshocks Back to the future" Page Updated for you. Nice Bike!! Mick Mills Page has a New bike on it at the bottom. Cotswold BSA's has an update and more today. Others updated later and May Be another New Page. You just have to watch this , and Guy is doing a "Wall Of Death" this year, and a long distance "Mounting Bike ride", along with the "Scottish Pre 65 Trial". Well I started the year saying we would wait and see what paned out. I agreed with him, and said lets do it. So the NEW "TRAD" (Traditional) movement is born. If you clubs or individuals think you could persuade the rest of your club members to try one of these "TRAD" trials act quickly because there already is some interest in the return to this single route format.. 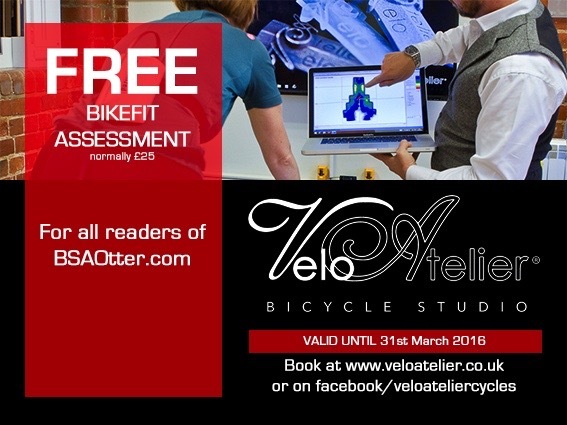 Here is an offer you can't pass by if you are thinking about getting a cycle to get fit on. Use today's new approach to make sure you fit your cycle, and the cycle you buy fits you. Faber Frames Page updated with a Scottish Pre 65 entry Triumph twin machine. Look today I just realised that I have been on this planet for seventy years. And from day one (read the story) I have done very much what I wanted to do with these seventy years. I have spent today with most of the family that know me very well, and of my individuality about life. And they also know the passion that I have had for the things that I have done, and what I continue to strive for. So they bought me these,gifts below , because they know how much I feel that this Guy, is a lot like me, and has, at his tender age the same aspirations about life. Thank you so much for today Family you know I really appreciate it.and we will do it all again next year, (hopefully}. And Guy, just keep on doing what you are doing, "Living life to the full. ", hope to meet you soon. Thank you so much life. And I am enjoying it myself. Good digging into the old grey matter now and again. Look Time is running out. and I am not taking life seriously any more you have to help me make the right Decision. Deryk and I are doing our best to try and get this "TRAD" Traditional trials idea started. it has now been fourteen days since we tried to launch it on Trials Central and BSA Otter.com. Response? Yes we have had interest shown and Deryk had calls within the first hour from what he put on TC. Unfortunately most clubs now have a younger committee and most were not even born before 1965. As Deryk says you would have to be sixty seven years of age to have ridden in a trial before that time. There are clubs however that have said that they are willing to give it a go, and one is already trying to organize a trial later on in the year. I have had interest from the west country, and elsewhere. Nick Draper has offered a Cup in his fathers name "The John Draper Trophy" for a trial using the "TRAD" format. I have said I will try and find the right home for this when the right trial comes along. BSA Otter.Com is also in the possession of a Cup that will go to a class in a "TRAD" trial. I feel that the best result would be for probably a one off trial to this format, to test the water to who and what the feeling is about this return to trials has ran by every club before this 1965 date and for sometime afterwards. So Clubs Please let me know If you are interested as I am here to help has are others. I am also going to try and pressure the Stratford Club to run the Sidecar Class in the Sam Cooper Union Jack trial, to use sections that would have been used for sidecars in the pre 65 period. I rode in the DK Mansell trial and the Sam Seston, the sidecar entry was vast. Last years sidecar class in that Sammy Miller round could have been counted on two hands. So join me to try and get the Stratford Club to cooperate with our request, and if they do, back me with an entry of sidecars that will not be believed. Help bring back These "TRAD" trials. OK to prove I dont sit at home all day every day. This is my task for the next week or two. a 2.06 mt version of these below. Two of them with branches. Nice. Just for fun i will keep you up to date with a few photos later. Chris Leighfield Vibsa to Sprite.page updated. Well there you go another couple of new pages for you. On the researching the HJH page I found a photo of a bike that Martin Squires had taken last year, Martin has let me use it for the story, and what a talented man he is, a true artist. Take a look on this link or the one on the HJH page. Take a long what a good site. Britannia Motorcycles Page updated to Episode Six.